Researchers at the University of Missourie have developed a scale to determine the personality of a person on the basis of how they use the social media site. The scale is based on various activities of a user on Facebook, such as status updates and photo uploads. According to the University researchers, users who tend to update their status, upload images and interact with friends on Facebook frequently, like high risk activity. Those who just scroll through the newsfeed, are considered more reserved. The researchers had developed the scale after conducting a survey on users based on their use of Facebook profile and taking a personality test. Those who fell under high risk activities category were labelled as “appetitive”, while who were more reserved got labelled as “aversive”. 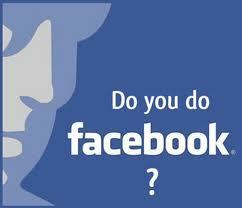 Heather Shoenberger, who led the study, also pointed out a major difference in the approach of users towards Facebook. According to Shoenberger, those who are highly appetitive tend to engage with social media extensively, while who are on aversive side choose safer and more predictable media experiences. According to Shoenberger the scale will help advertisers to reach out to the target audience with much more ease. "I believe this could really help advertisers and certain types of media groups target potential customers with particular ads on social media sites," Shoenberger is quoted as saying. "Identifying these individuals using the motivation activation measure can give advertisers an advantage over their competitors and bring some order to online advertising."